« There Must Be Murder, by Margaret C. Sullivan, wherein the reader follows the escapades of Henry Tilney and his lovely wife, Catherine, in Bath. Wow, Vic, quite an extensive post! Interesting to read about their everyday lives and living quarters. It always makes me pause to think of how long and tedious their days must have been and they wouldn’t have had the comforts that we enjoy today to console them at day’s end. Fascinating! Thanks for the great photos and details–love it! As always very informative and enjoyable. I think you definitely would hope for advancement in this case and I can see why the high turnover rate. I loved all the pics as well. Really interesting. Even more interesting because we’re getting to see it in action in Downton Abbey. Can’t wait until tomorrow night’s episode. Today’s Washington Post (01/29/11) has an interesting article on Highclere Castle, main location of Downton Abbey. I hope you don’t find it mean of me to correct a mistake on the word steward instead of stewart. We actually lived in the stewards house in the great Carton Desmense, Maynooth, Count Kildare. It was separate from the main house, four bedroom, and quite nice. One walked up several stairs to gain entrance. The servants lived upstairs, with lowered ceilings. They were the lucky ones considering some lived underground level, entered from the long tunnel under the main house, no outside light! 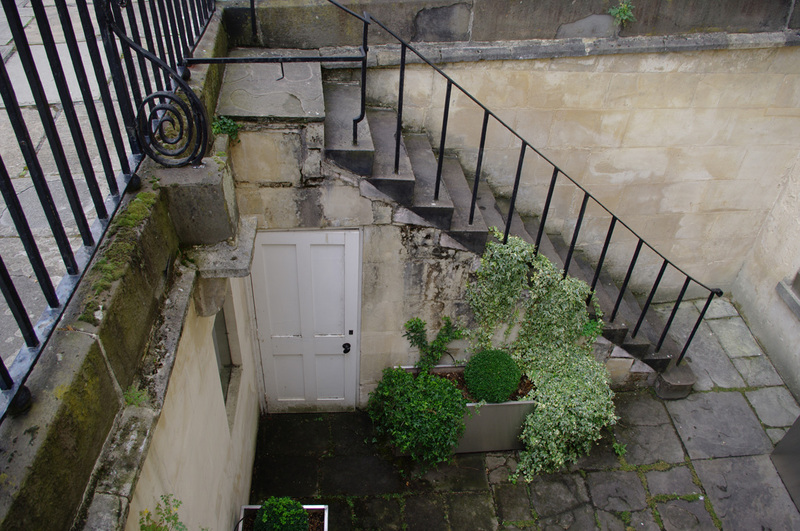 Also the tunnel served as a convienent way for the servants to run from one end of the house to the other without being seen. At one time Carton had 65 full time gardeners, untold servants! It was a wonderful time for my husband and I too live there a Year and a half. He worked as a vendor for a company that had dealings with Intel. I don’t mind at all. This is not a word that spell check picks up. As for the underground tunnels, you are so right! In Manor House they showed the lad sleeping in the hallway on a cot. The poor guy had no privacy whatsoever. In addition to the 12 indoor servants pictured Downton Abbey would have needed at least as many outdoor servants – gardeners, grooms, chauffeurs, etc. No to mention the estate staff who did all the building and maintenance. The series told us very little about them and their lives. Thank you for stopping by, Chris, and reminding us of this important fact. I explained this in another post (Dowstairs at Downtown Abbey), but it bears repeating. 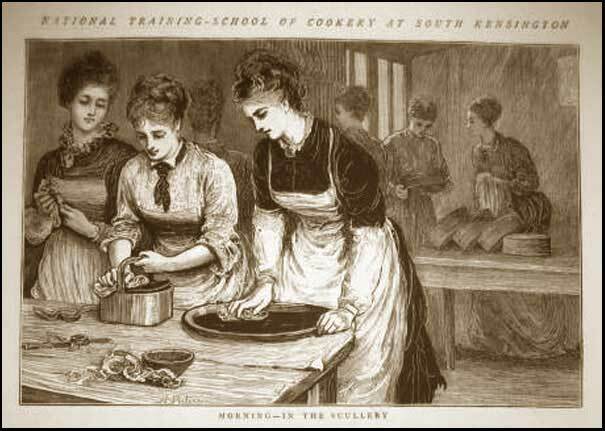 In the film, one can see the hustle and bustle of the other servants – there were at least 3 other kitchen maids as well as a scullery maid that we did not get to meet. Outside, men were delivering coal, hauling coal, mending farm equipment, working in the gardens, etc. These scenes were shown, but only as background noise. enjoyed your reviews and comments on this series! 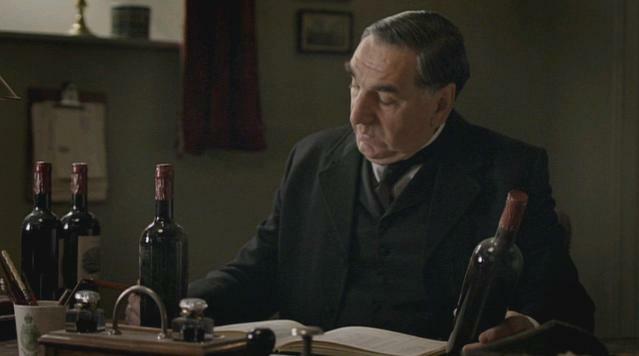 Vic, all your wonderfully detailed posts have added greatly to my enjoyment of Downton Abbey. I had three friends over yesterday for a Downton Abbey marathon–we started at 10 a.m. and finished at 7:00 p.m. No, it isn’t a 9-hour series–we had breaks for lunch and afternoon tea! 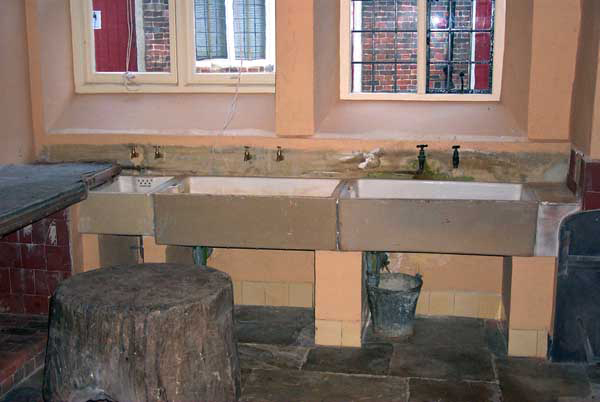 I could have used a good scullery maid when it was all over! What an amazing post! I’ve flagged it to share with my students…if that’s all right? The thing I think is interesting about this is that many of the plantation homes in the Southern United States had similar systems in place for the servants who were slaves. 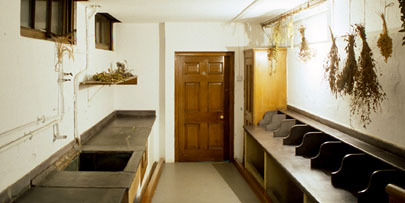 In many homes the kitchen wasn’t necessarily downstairs, but a different out building, along with a building for doing laundry as well. 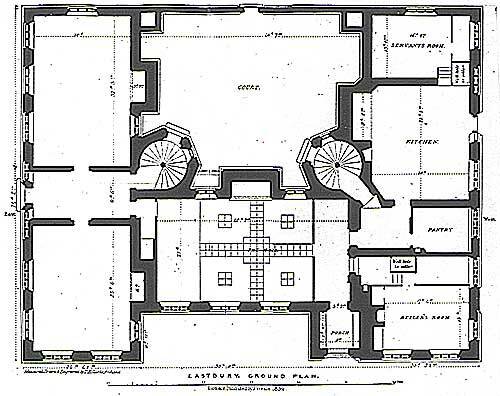 Then, there was a system of stairs either built on the outside of the home that took them up back stairwells to get them to the living quarters of their masters, or that took them to the main level. It seems an interesting system wherein it was meant to be an “out of sight, out of mind” thing? It all feels very similar. Thanks for this amazing post with all the history, information, and pictures! Now I just need to catch up on Downtown Abbey!!! I am really enjoying your posts and your links to more in- depth information on this period. I find myself going from link to link. I find it so interesting. Like others have said it really has made watching ‘Downton Abbey’ that much more fun to watch. I look for more things and I am more aware about different aspects of the program. I wish this wasn’t the last episode. 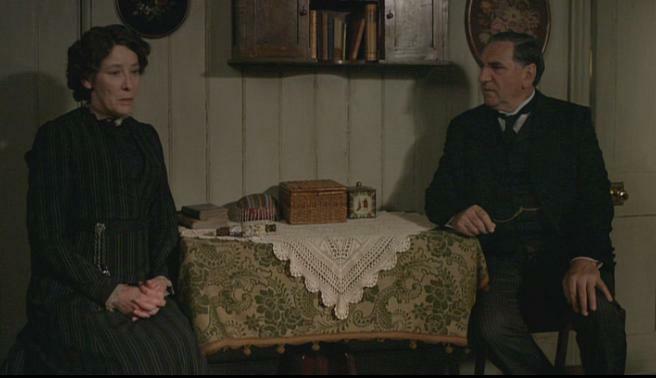 Although I look forward to watching Upstairs/Downstairs. This is a whole new world for me. I didn’t think I would be interersted in either of these programs and now I am hooked. Thanks again for all your efforts on keeping us posted on the Regency and the Edwardian eras. I saw the first episode only yesterday…and I just love Downton Abbey! It’s so well-made the english series like this! 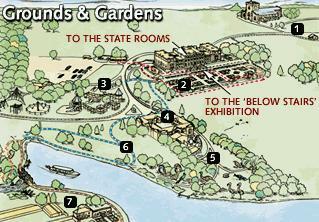 This post is so full of information about Regency Period! I really thank you! Okay so I watched Downton Abbey and now I’m curious does Carson fulfill the role of butler and steward? Or did I miss the person who plays the steward? Because it seems like Carson is the highest ranking servant at Downton. Just curious and thanks for the interesting post! Jessica, Carson is the butler. 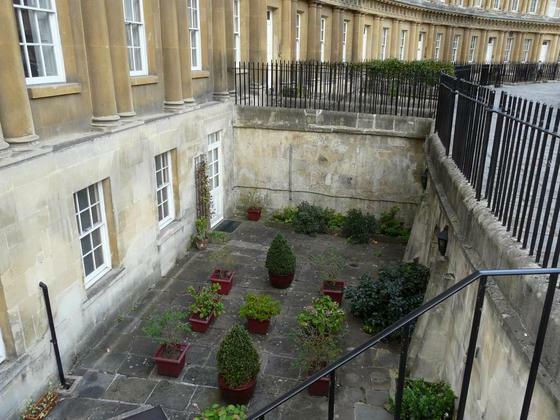 An estate the size of Downton Abbey would have had the steward, who lived in a room by himself. Like the governess, his elevated position was such that he most likely did not eat with the servants. ‘1. a. An official who controls the domestic affairs of a household, supervising the service of his master’s table, directing the domestics, and regulating household expenditure; a major-domo. Obs. exc. Hist. ‘ . . 5. a. One who manages the affairs of an estate on behalf of his employer. Sense 1 = butler by 1900. Sense 2 = man of business = land agent. He was a professional farmer/business man and lived elsewhere on the estate. Chris, I think we might be getting into semantics here. The butler was also know as a house steward. The man of business was the land steward. The butler was the top servant in the house and answered to the master. Since he was in charge of the books, hiring and firing of servants, and paying their salaries, he needed to be well educated. I read that the butler’s rank was considered as high as a professional, such as a lawyer. The land steward worked with the master as well. He was generally a well-educated gentleman who was regarded as a professional employee with a status higher than the family lawyer and the house steward. It has been my custom to say steward (meaning man of business), butler (head of the house staff), housekeeper, etc. Vic: I think you are mistaken as to the status of the butler, but correct about his intelligence, which would have been ‘practical’, gained at the University of Life, not bookish, gained at the ‘Varsity. He would have been highly valued by his master but never thought of as a ’gent’ as the land steward was. As to usage, the first OED citation for ’land agent’ is from 1846: ‘ . . land-agent n. a steward or manager of landed property; also, an agent for the sale of land, an estate agent. I imagine that ‘land steward’ was still used by the ‘Old Money’ to remind everyone of the antiquity of their wealth but that ‘land agent’ was used by the Nouveaux Riches. My uncle, the eldest son of a minor country gent, was a land agent in Warwickshire before the War; second son, my father, was put to the law; third son went off to the Colonies: a typical tale for that era. Chris, I enjoy these debates and thank you for this one, for it has forced me to delve deeper into the topic. House Steward–A House Steward is employed only in larger households where the accounts are too extensive for the Housekeeper to manage. The House Steward has a sitting-room for his duties of household accounting. He may also act as a Land Steward. Butler–The butler is the head of his department and responsible for the performance of those under him (the footmen). He has usually served his apprenticeship in domestic service, slowly working his way up the hierarchy. His responsibilities increase with the size of his establishment. 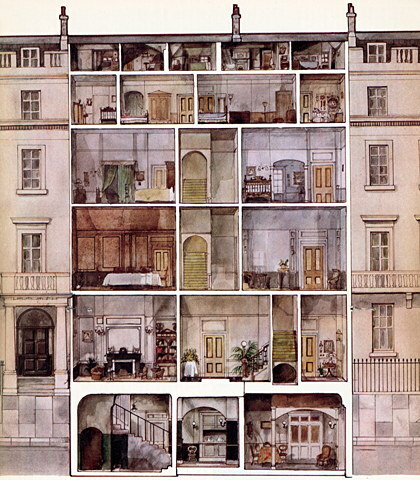 … In households with only one footman, the butler assumes some of the pantry work. I can only conclude that the size of the establishment determines the servant hierarchy and who sits on top. Great estates would employ a steward, who sits higher than the butler (and would pay him.) In the city, there might be a house steward and butler, or house steward only, or only a butler. 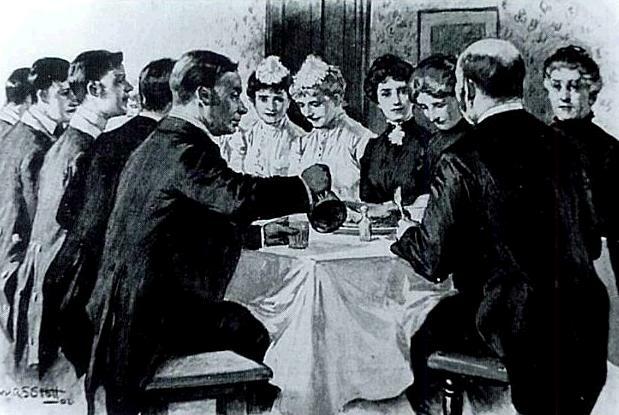 In smaller establishments, the butler also served as valet. And in even smaller houses, the butler’s job would indeed be hard, for he would combine the duties of butler, valet, and footman. In addition, I found this marvelous source. I haven’t had time to look into it in detail, but it is an 1806 treatiste on The Modern Land Steward (free Google ebook.) Click on title. 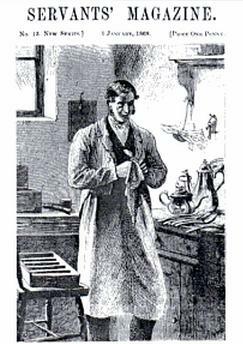 The ideal type of house steward is well portrayed by Gabriel Betteredge, ‘house-steward in the service of Julia, Lady Verinder’ in The Moonstone by Wilkie Collins: http://chestofbooks.com/novel/The-Moonstone-Wilkie-Collins/index.html He was, he says at his particular request, butler as well. I have never heard the term ‘land steward’ before reading it here. I conjecture that it was already going out of use by 1914 displaced by the modern more commercial ‘land agent’ which probably came from Ireland, where the landlords were absentee and relied on a hard-nosed local man of business to get the rents in and keep the tenants quiet. There was a long agricultural depression from the 1880s to 1914 as cheap grain and meat flooded in from N and S America, so that attitudes hardened as estates struggled to keep rents up and get them in and to hold costs down. After 4 years of wartime prosperity prices fell again and estates were broken up and sold off on a huge scale: a whole way of life came to an abrupt end and ‘land stewards’ went extinct with its demise. This is wonderful information. 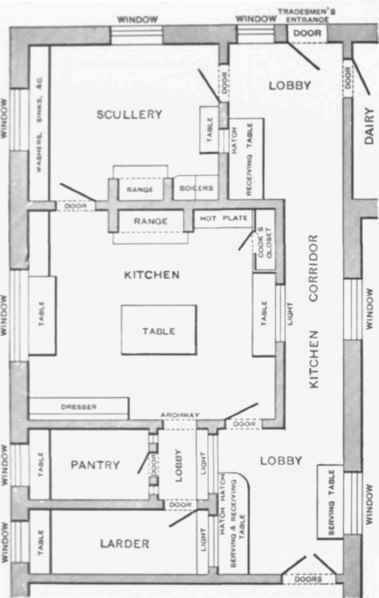 Would you possibly have any information on the servant structure in wealthy American houses in the early to mid 19th century, particularly in the north? ‘Loathing, anger, shame – and deep affection: Virginia Woolf’s relationship with her servants was central to her life. 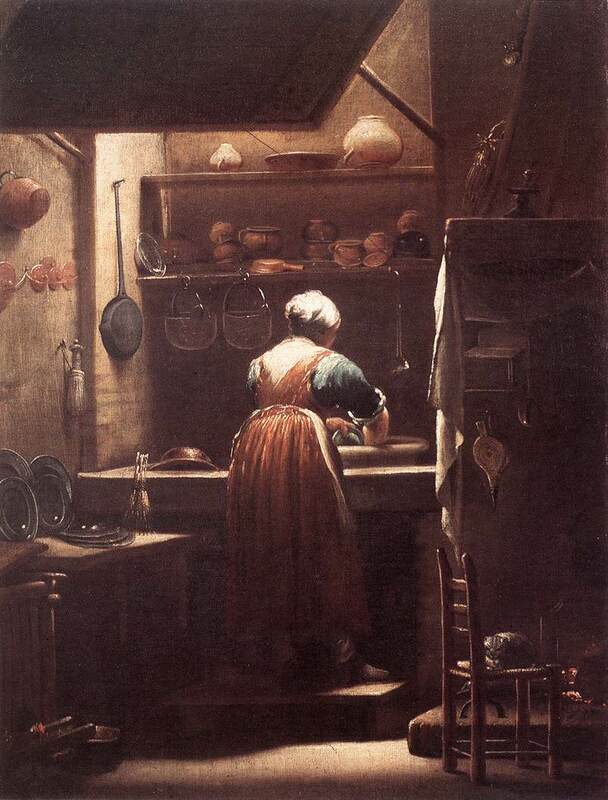 Like thousands of her fellow Britons she relied on live-in domestics for the most intimate of daily tasks. Her cook and parlour maid relieved her of the burden of housework and without them she might never have become a writer. 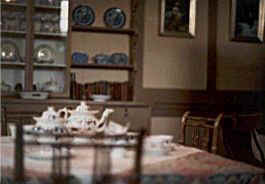 But unlike many of her contemporaries Virginia Woolf was frequently tormented by her dependence on servants. Uniquely, she explored her violent, often vicious, feelings in her diaries, novels and essays. What, the reader might well wonder, was it like for the servants to live with a mistress who so hated giving her orders, and who could be generous and hostile by turns?Through the prism of the writer’s life and work, Alison Light explores the volatile, emotional territory which is the hidden history of domestic service. 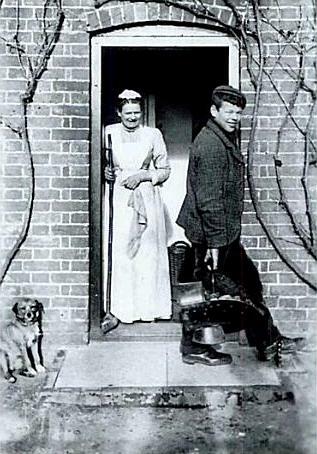 Compared to most employers in Britain between the wars, Leonard and Virginia Woolf were free and easy. Life in the Bloomsbury circle of writers and artists was often fun. Yet despite being liberal in outlook, these were also households where the differences in upbringing and education were acute: employers and servants were still ‘us’ and ‘them’. The women who worked for the Woolfs, like other domestic servants, have usually been relegated to the margins of history, yet unearthing their lives reveals fascinating stories: of Sophie Farrell, the Victorian cook and ‘family treasure’, who ended her days in a London bed-sit; Lottie Hope, the parlour maid, a foundling, who’d been left on a doorstep like a parcel; and Nellie Boxall, the Woolfs’ cook, who was finally dismissed after sixteen years of rows and reconciliations, only to find herself a more glamorous job. This systme should not be as common by 1900 as earlier. Female domestic workers culminated by 1871, male even earlier so the decline had been around for almost 30 years. Please forgive my laziness and memory, but would Col. Fitzwilliam in Pride and Prejudice have been a steward of some sort to Darcy? I could never quite figure out his role in Darcy’s life. Thanks. Great post and very interesting. I love reading the old ones and the new ones. Thank you for this post; I’ve found it very interesting as I’m writing a family history and I was looking for information about housekeepers as my great-grandfather’s sister was a housekeeper in Gloucestershire. Congratulations! This is such a wonderful blog. I, too, have Downton fever, and as in GOSFORD PARK, also written by Julian Fellowes, I enjoy the ‘downstairs’ scenes and seeing authentic pantries, larders and servants’ rooms. By the way, I wrote a book on American pantries, THE PANTRY-Its HISTORY and MODERN USES [Gibbs Smith: 2007] which does discuss British pantry history somewhat (but, because I was limited to 100 pages by the publisher, including photos, I could only include so much: lots of resources, too). I now sell it exclusively from my website and for a bargain of $10 signed (plus shipping: and including full color photographs, vintage images and hardbound). 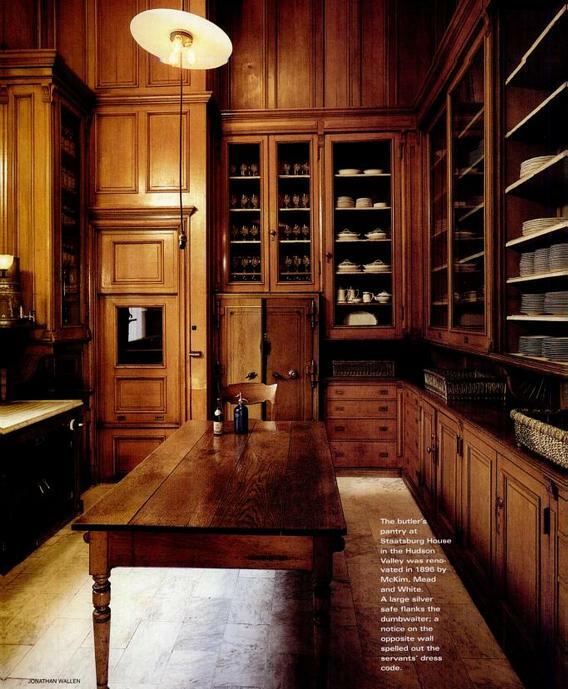 For more information: http://www.InthePantry.blogspot.com ~ If you love pantries large and small, and mostly historic, you’ll like this book. I just discovered your blog today. What a treasure! I’m a big history buff, and this is my favorite period. Can’t wait to read more! So in this era, were all the communities across the world doing and experiencing the same things in terms of Trade, day to existance, living and working? How would one compare since there’s no evidence of these existence? Since Britain deemed themself as the ‘Leader in the era’ of the world then what other types of information and cultures they came across that were more advanced than theirs and people lived normal and not servants? How did those people lived in their communities? What was the common culture for them daily? Jacqueine, While these are good questions, this article was written from the perspective of a country house in Great Britain. Before World War One, the British Empire was regarded as the mightiest and largest empire in the world. The British at the time had no doubt that they possessed the greatest nation in the world. I doubt that many in the UK at that time would have admitted that there were other more advanced cultures than theirs. While British royalty did intermarry with other European royalty the Royal Court at Versailles was as different from the Winter Palace in Russia as it was from Buckingham Palace in London. Each culture had its own set of rules in terms of how servants were treated and regarded. As for the common people in Great Britain and how they lived, I do mention the working and middle classes in other posts. 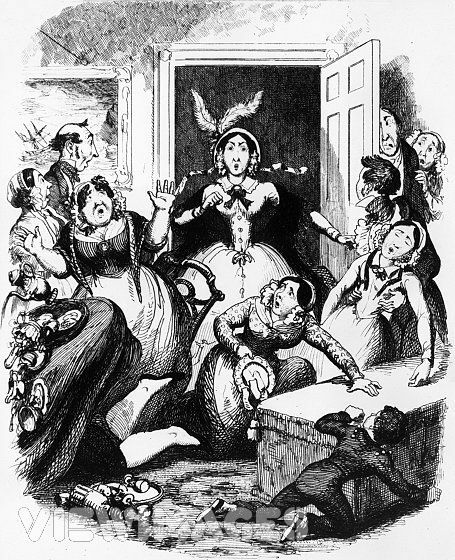 You can find many links to details about the middle class in the upper tab, Social Customs During the Regency Era. 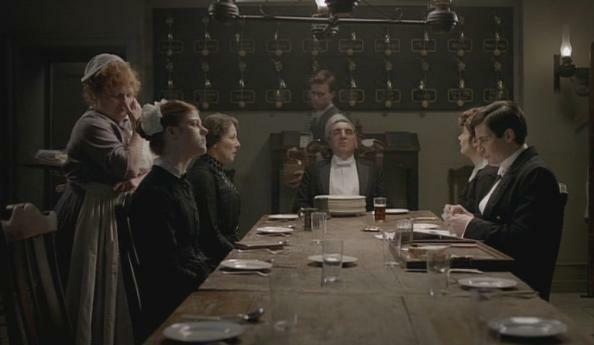 What about the Christmas scene in Downton Abbey? Would the English gentry really have danced with their servants? I really enjoyed reading the historical backgrounds from this blog. I think that was the purpose of the servant’s ball. The Crawley family especially seemed to hold their servants in high esteem. There were upper class families, however, that would not hold such a tradition. Had Lady Mary married Sir Richard, one can be assured that he would never have contemplated holding such a dance in his house. 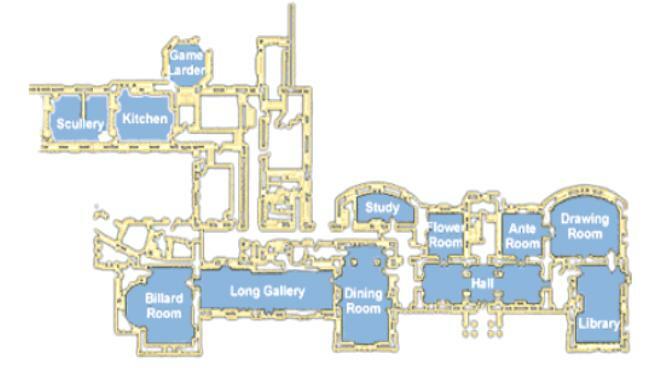 Where were the bedrooms for the ladies maid and valet located? 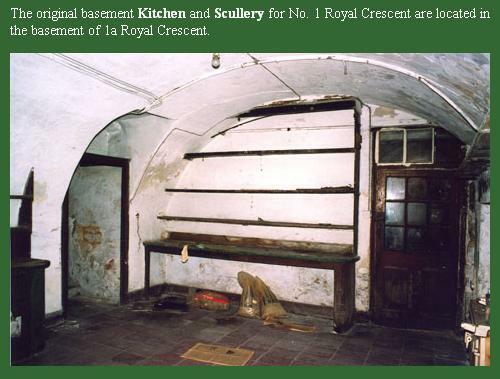 Were they within the servants quarters or near where the family slept? Why would the Earl give a letter to Jane, who is leaving to avoid what may become an affair, with the name of his “man of business” for her 12 year old son, who is in school? And why was she not going to take the information if he meant it for her, if the man of business runs the farm side of the estate? Did she not want to milk cows? I’m confused.